We raise Heritage breed livestock. These are old established breeds whose population is threatened. 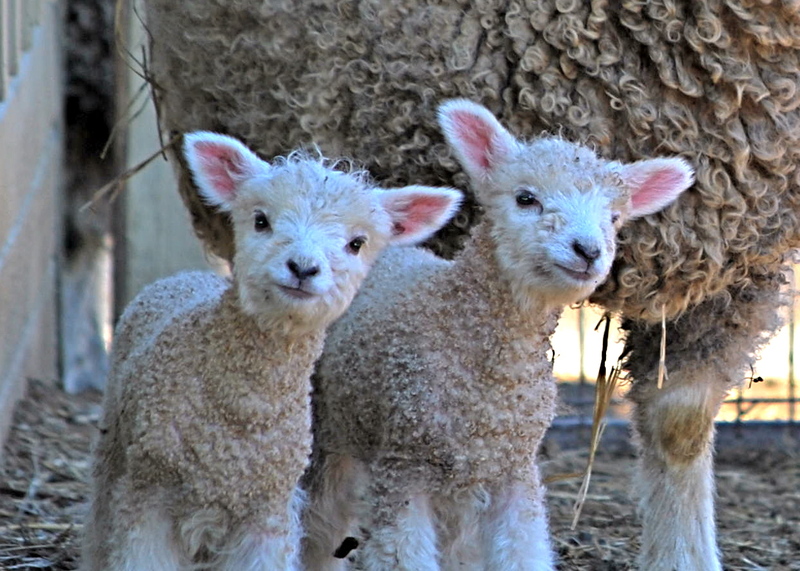 The Livestock Conservancy keeps track of breeds whose numbers are low. Some of these breeds are ancient breeds who have been forgotten, others are breeds that are not used in our modern supermarket because they are slower growing or don’t have the extreme physic that our society has come to expect. 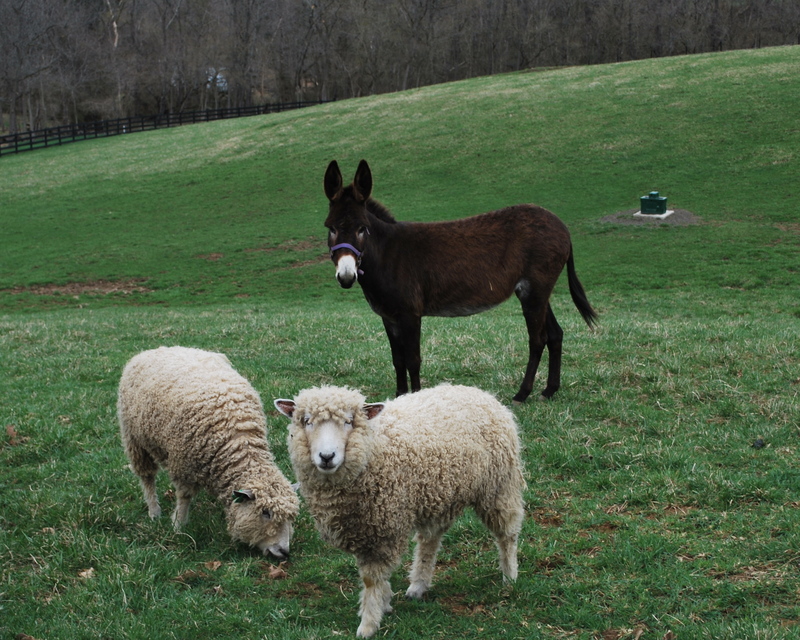 Our animals are slower growing, grass fed, and supplemented with non-GMO grains when needed. They live a ideal, quiet life in the country, admired and respected. 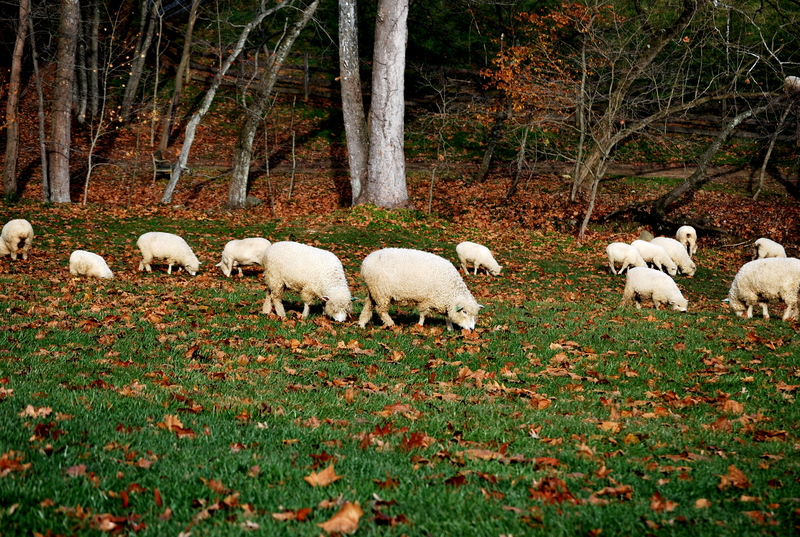 At Davlin Farm we have a small flock of Cotswolds. We are in love with this docile, breed. Their long locks and quiet disposition are very endearing. 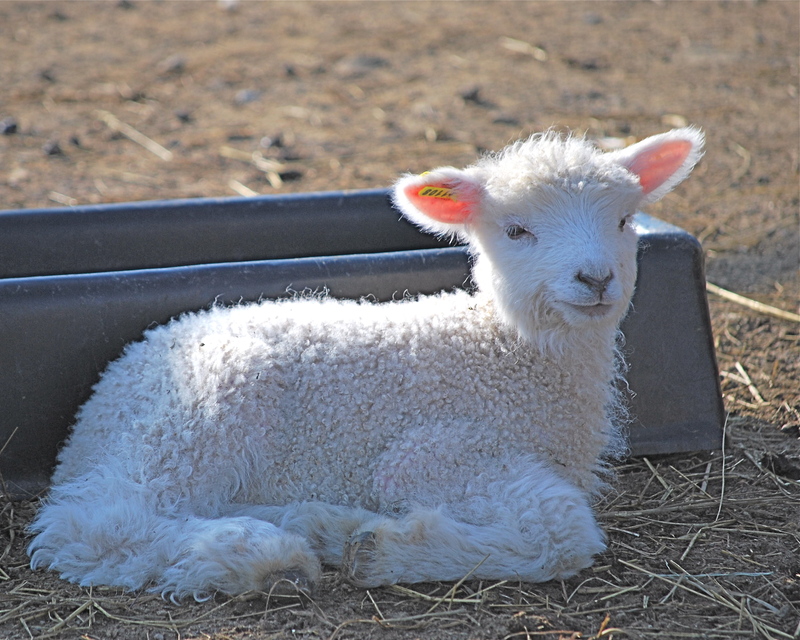 We spoil them with lush pasture and shade inside the barn with fans on hot summer days! 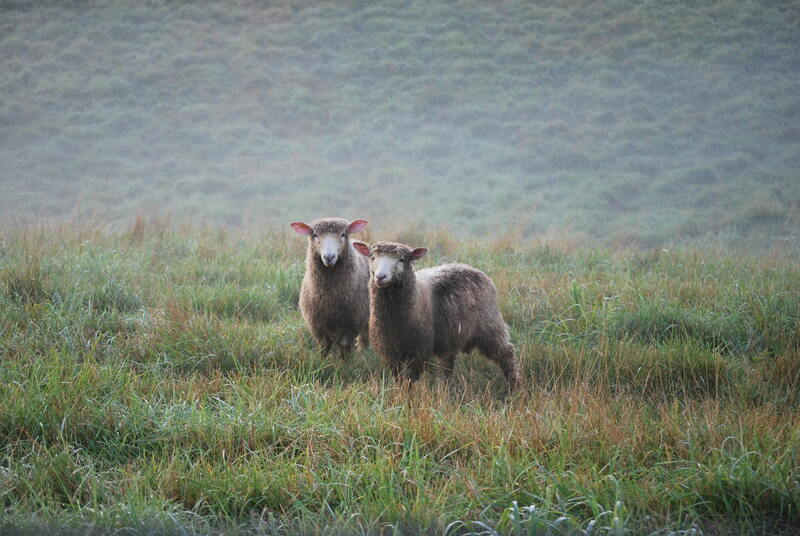 Our sheep are registered with CBA and ACRA. We shear twice a year and have a staple that is about 5”. 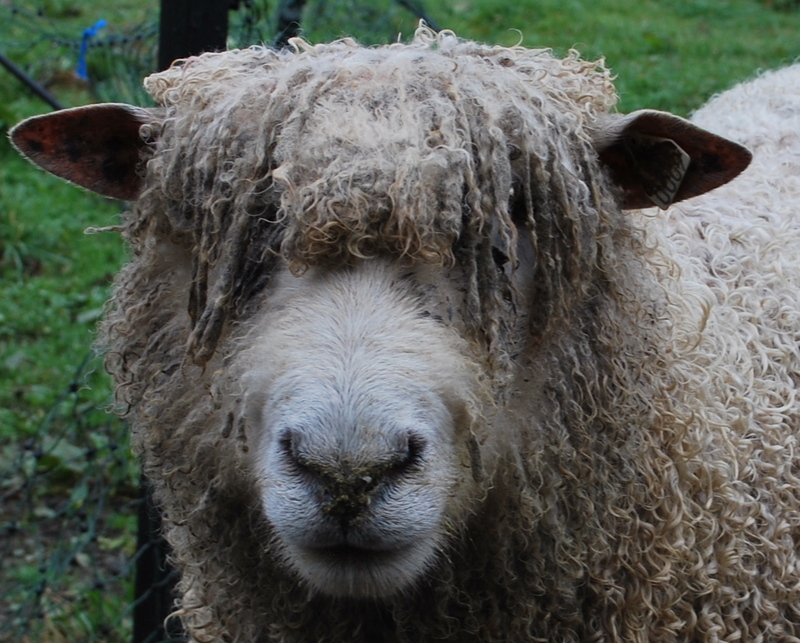 Cotswolds are a heritage breed, part of the English Longwool family of sheep. They are listed currently as threatened by The Livestock Conservancy. We are concerned about this status and are committed to raising quality stock. 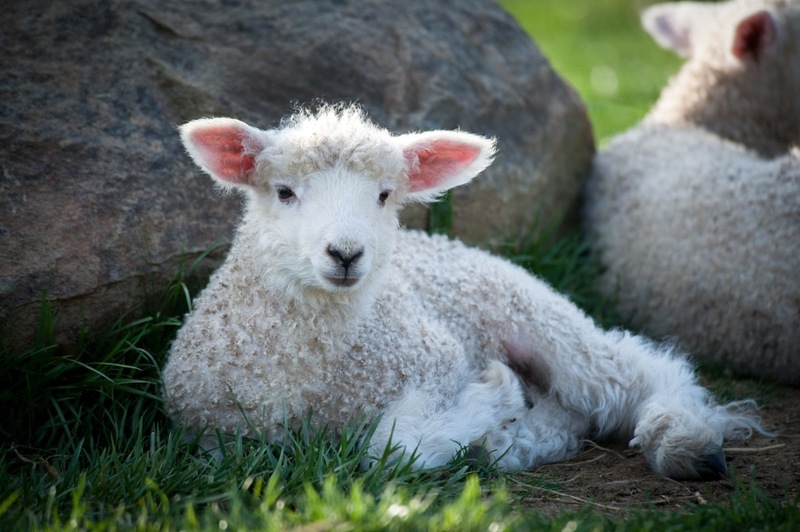 Cotswolds have a fleece with an average length of 10 to 13 inches per year, weighing up to 15 pounds. 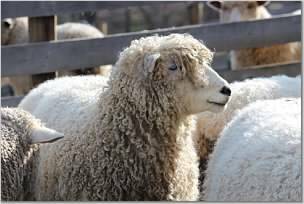 Their wool hangs in curly locks from their body and also covers their head, with a long forelock that hangs over their face. 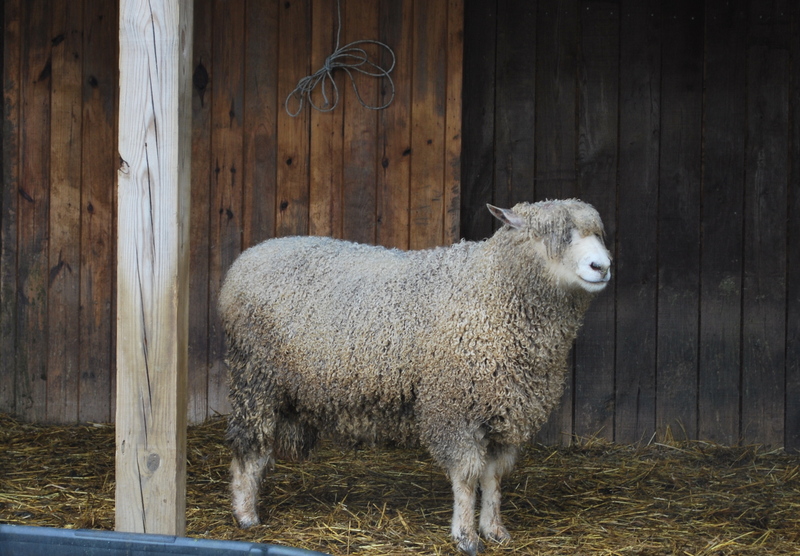 Mature sheep weigh between 200 and 300 pounds. 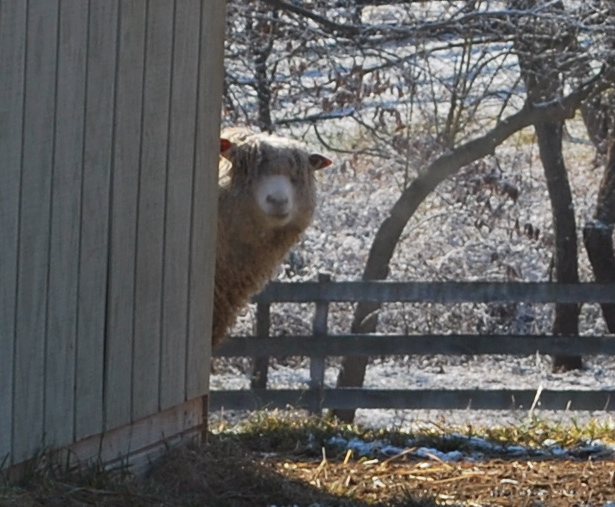 Cotswold wool has beautiful luster, takes dye very well, and is very durable. The locks can also be used for spinning artisan style yarn or used for Santa beards and doll hair. It is also easy to felt. We have wonderful Buckeye chickens. They are a Heritage bird and the only breed developed by a woman, in the late 1800s. 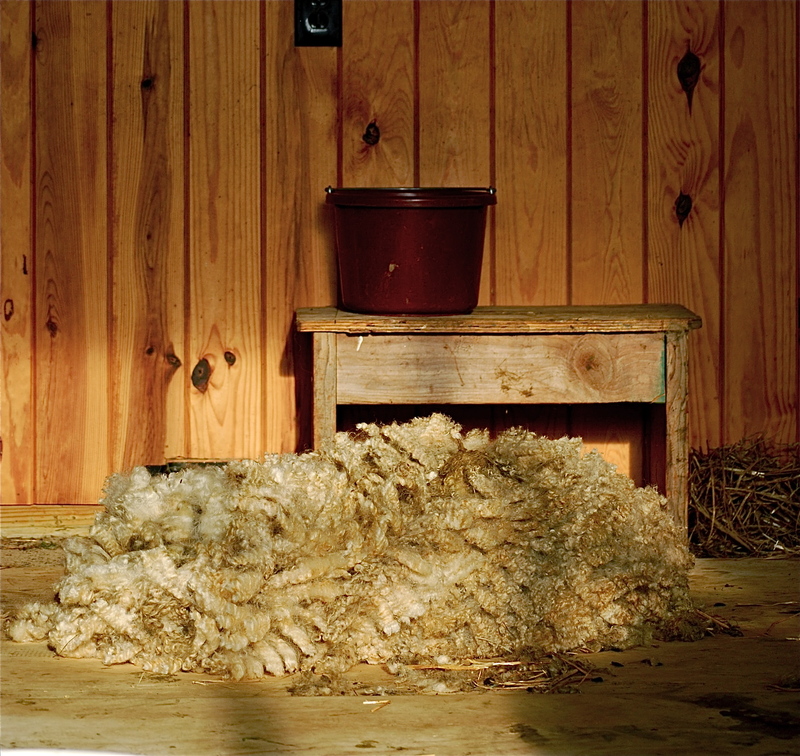 Nettie Metcalf created an American Standard Breed chicken on her own. 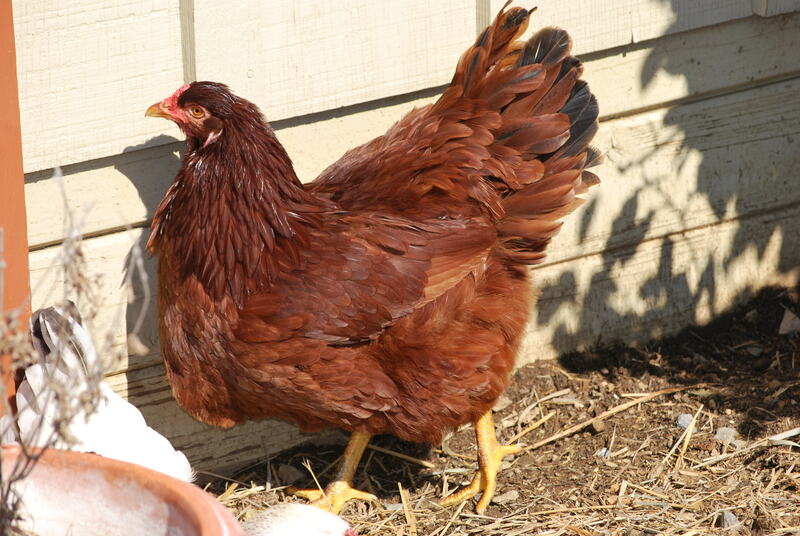 She was a hobby farmer who crossed one chicken with another over several years to create the Buckeye – a mahogany red-and-black-feathered bird. We chose Buckeyes because they are mild mannered, great for free range, hardy and tolerate our hot summers and cold winters. They are a great all-round chicken, meaning that they are good for egg laying, a great backyard chicken and taste good as well. 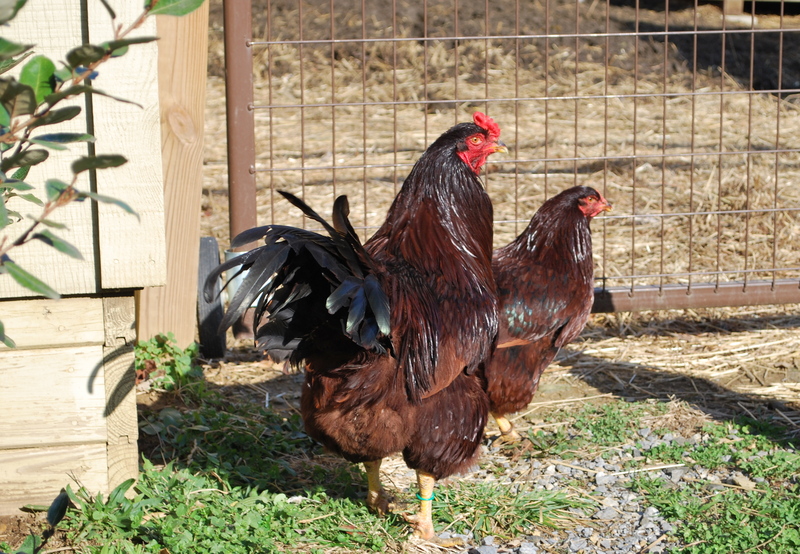 Buckeyes were one of the most popular chicken breeds around until the Rhode Island Red arrived on the scene. But numbers of the Buckeye are dwindling and the ABC lists the breed as threatened. 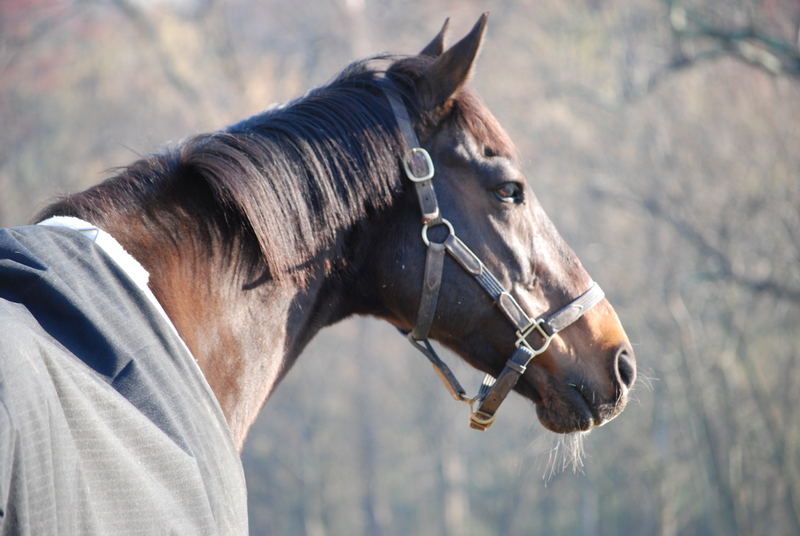 Davlin Farm hopes to help promote this wonderful breed, play a small part in helping their numbers increase and the Buckeye become better known. Our birds are from some of the best lines. We have chicks in the spring and eggs available year round. Older birds may be available in the fall. 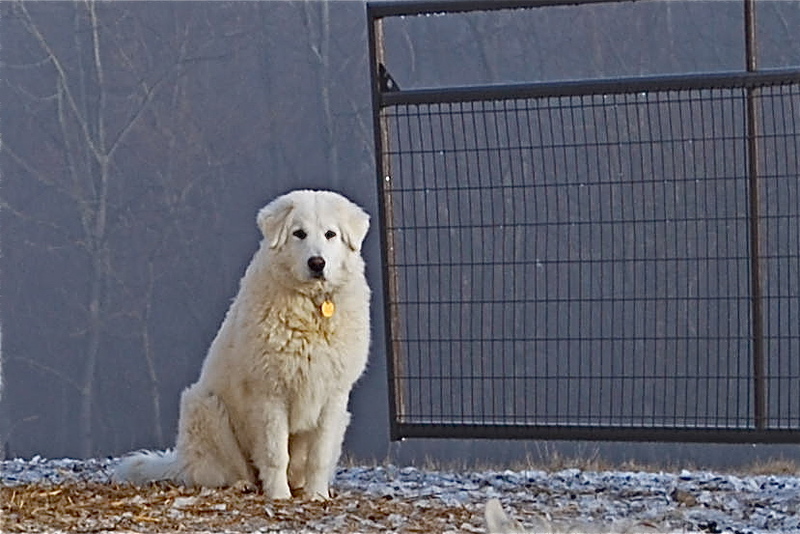 Maremmas are the Italian version of a guardian dog. They live with the sheep and protect them, when necessary. Their warning system is to bark. This big deep bark seems to do a great job of keeping critters away. They will attack if their warning is not heeded. We found it necessary to find something to watch over our sheep 6 months after we purchased them. 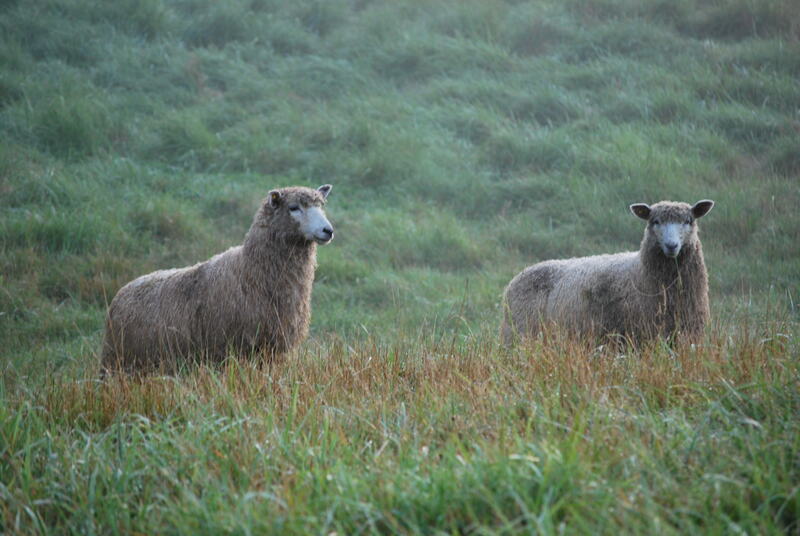 A dog – either domestic or wild – attacked our 2, 8 mo old rams one night in December. One was found outside the fence, dead. The other, badly injured. He was able to be saved and has grown into a beautiful boy. We eventually bought dogs to guard our sheep. They do an excellent job and also protect our BUckeyes. They are at work most of the night, watching out for dogs, fox, coyotes, bobcats, bears and cougars. You would think we live in a wild forest, but all these critters have adapted to living in a rural situation. We feel that the sheep are safe with our dogs on guard.